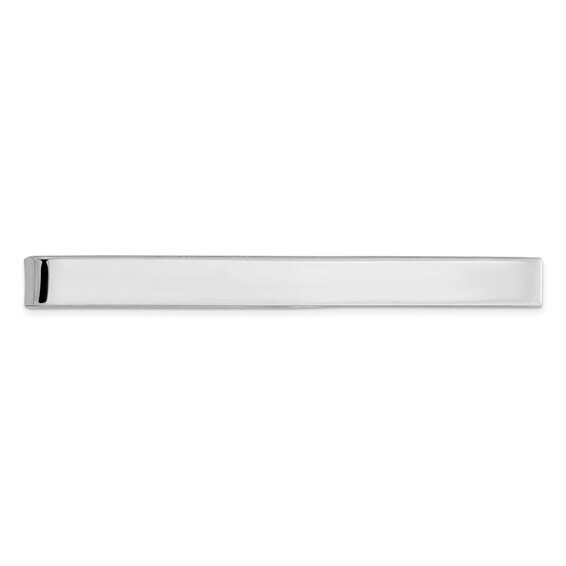 Sterling silver tie bar has that classic style that fits every man's wardrobe. Measures 1 7/8in x 5mm. Engravable. Weight: 3.5 grams. Makes a great gift for groomsmen. Made in the USA.